The Netatmo Urban Weather Station. 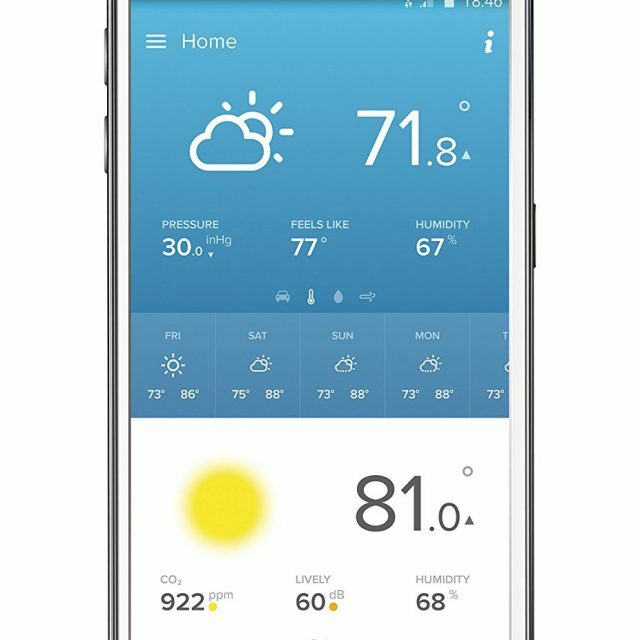 The First made for iPhone and Android Personal Weather Station, with Air Quality measurements, to monitor and track your environment. 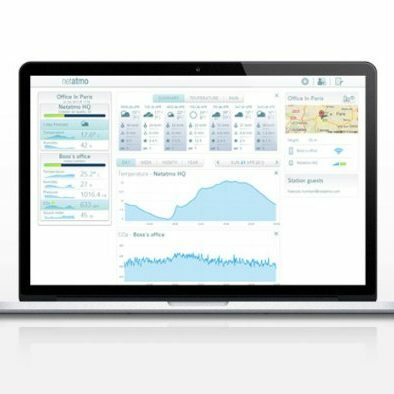 Discover what the Netatmo Weather Station can do for you. 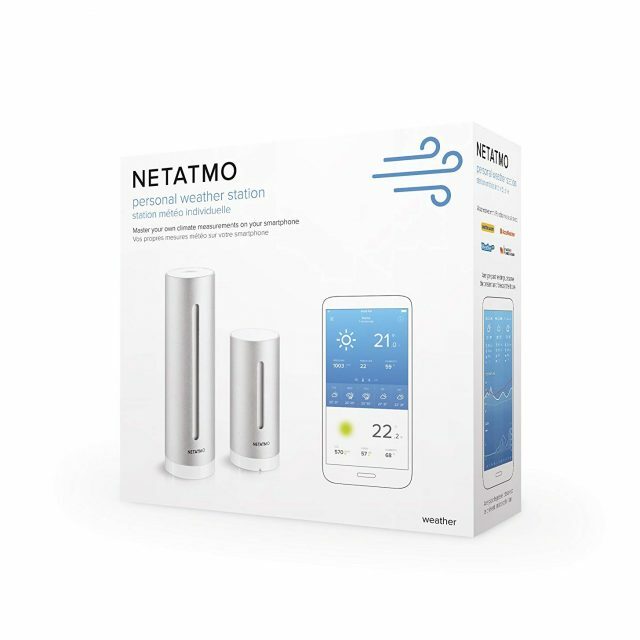 The Netatmo Weather Station contains a unique set of sensors to monitor your living environment (temperature, barometric pressure, humidity, CO2 concentration, noise pollution… ). The Netatmo Station wirelessly transmits all your data to your smartphone. The Netatmo App displays your Station’s indoor and outdoor measurements into clear and comprehensive dashboards, graphs and notifications. 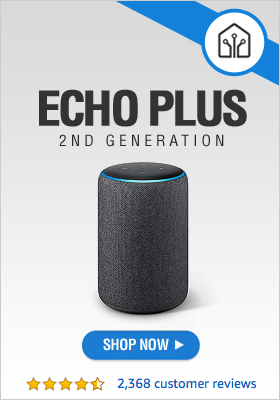 All of your data is recorded online and made permanently accessible for you, on your smartphone. 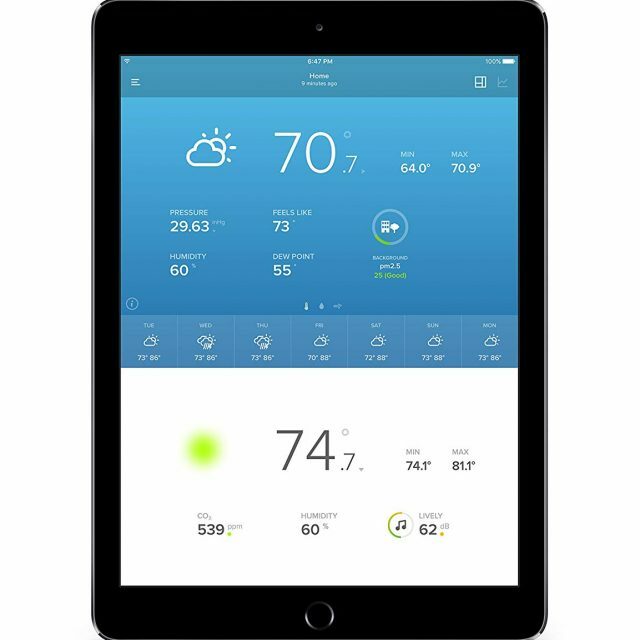 Seamlessly measure, track and monitor your Weather and Environment, indoor and outdoor, at any time and from anywhere. Improve your Wellness, adapt your activities! 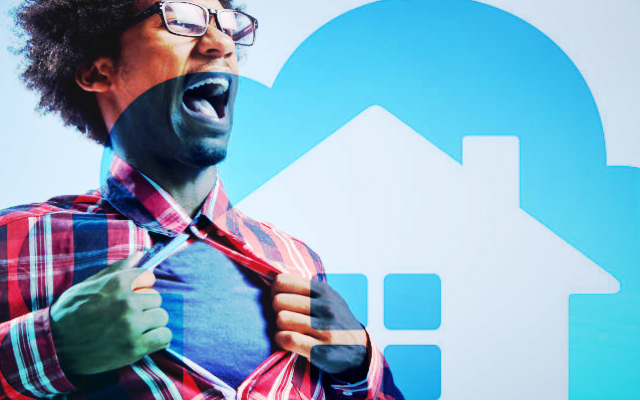 We spend 80% of our time indoor, resting, playing with the kids or at the office. 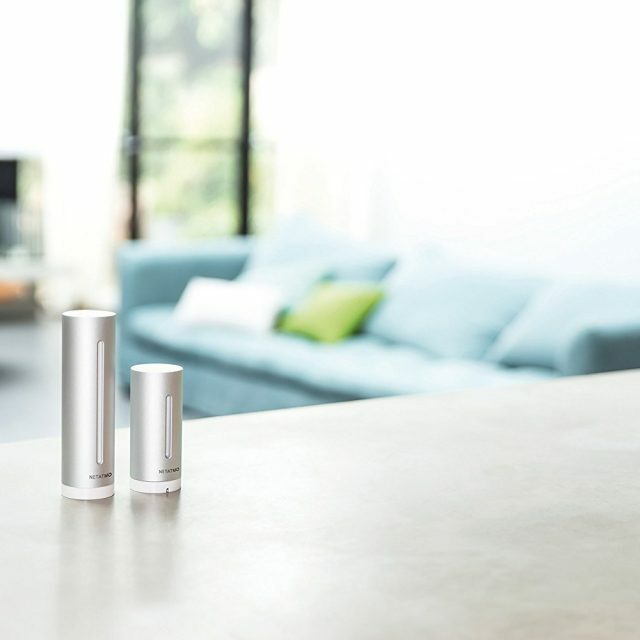 The Netatmo Station monitors your indoor air quality (CO2 concentration), and reminds you to ventilate, at the right moment. 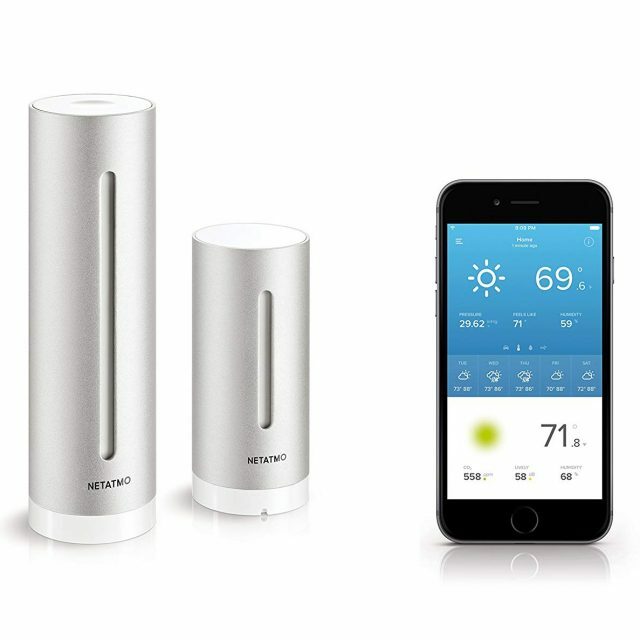 The Netatmo Urban Weather Station allows city dwellers to monitor indoor air quality, get real-time updates on local Air Quality Index report and pick the best moments for outdoor activities. 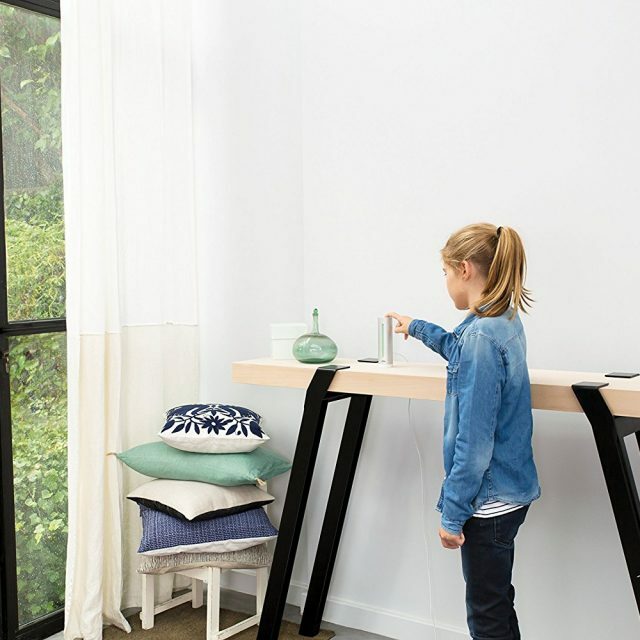 The Netatmo Weather Station also monitors noise pollution and measures home or office acoustic comfort.